Dr. Alaa Ahmed is an associate professor in the Department of Integrative Physiology at the University of Colorado Boulder. She received her PhD in Biomedical Engineering from the University of Michigan, Ann Arbour in 2005. Dr. Ahmed's research focuses on biomechanical and sensorimotor processes underlying human movement control, and decision-making in uncertain or unstable environments. She is also interested in the neuromechanics of postural control, loss of balance detection, and falls in young and older adults. Dr. Ahmed is the recipient of the 2014 National Science Foundation CAREER Award, and the 2012 DARPA Young Faculty Award. 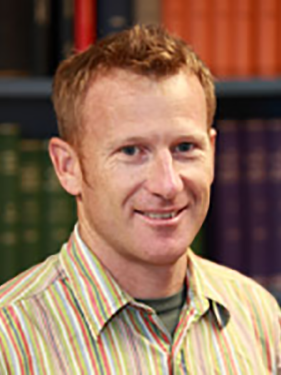 Thor is an Associate Professor at the Auckland Bioengineering Institute at the University of Auckland, New Zealand. He completed his PhD in Biomechanics at The University of Western Australia where he developed EMG-driven models to estimate muscle forces and investigated mechanisms of non- contact knee ligament injury. Thor spent 8 years at Stanford University combining medical imaging with computational models to understand the mechanical aetiology of patellofemoral pain. His current projects combine wearable sensors with computational models to develop novel interventions for musculoskeletal disorders, such as stroke and osteoarthritis. 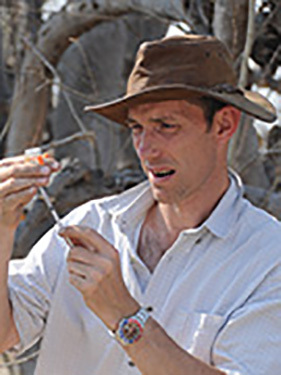 Andrew A. Biewener is the Charles P. Lyman Professor of Biology and the Concord Field Station Director at Harvard University. He is Deputy Editor-in-Chief of The Journal of Experimental Biology. His research group focuses on the biomechanics and neuromuscular control of terrestrial and aerial locomotion, with relevance to musculoskeletal modeling, biorobotics, and biomedical engineering. His laboratory emphasizes in vivo methods for studying muscle function during animal movement in relation to body dynamics.  This work has involved collaborations with modelers, roboticists, mechanical engineers, and computer scientists. He has published over 165 research papers, trained 18 PhDs and 16 post-doctoral fellows, and co-authored two recent textbooks (Animal Locomotion 2nd ed., 2018 Oxford Univ. Press; and How Life Works 3rd ed., 2018 Macmillan Press). Dr. Elizabeth Brainerd is a Professor of Biology and of Medical Science at Brown University. Dr. Brainerd obtained her PhD in Organismic and Evolutionary from Harvard University. 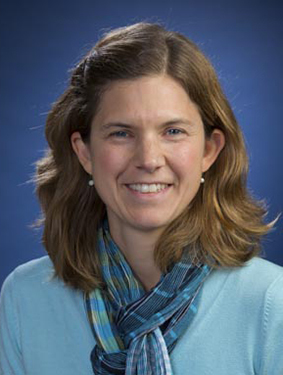 Professor Brainerd and her research group combine anatomical studies of the musculoskeletal system with principles and techniques from engineering to understand the mechanical basis of movement in animals. Current projects include: biomechanics of the temporomandibular joint, muscle architecture, intercostal muscle function, and the development of a new 3D imaging technology, X-ray Reconstruction of Moving Morphology. 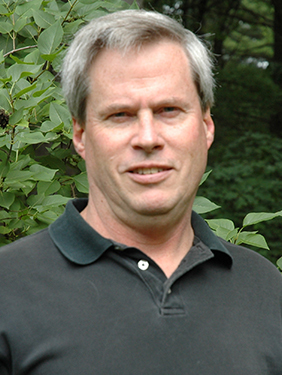 Dr. Brainerd has authored and co-authored 57 publications, including the book "Great Transformations in Vertebrate Evolution" (2015). 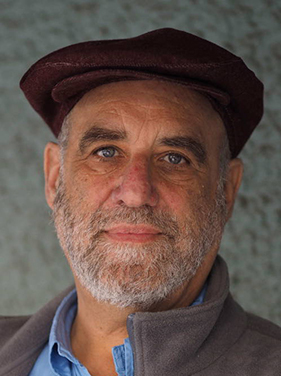 Steve Collins is an Associate Professor of Mechanical Engineering at Stanford University, where he teaches courses on design, biomechanics and robotics and directs the Stanford Biomechatronics Lab. His primary focus is to speed and systematize the design and prescription of prostheses and exoskeletons using versatile device emulators and human-in-the-loop optimization. Another interest is efficient autonomous devices, such as highly energy-efficient walking robots and unpowered exoskeletons that reduce the metabolic energy cost of human walking. 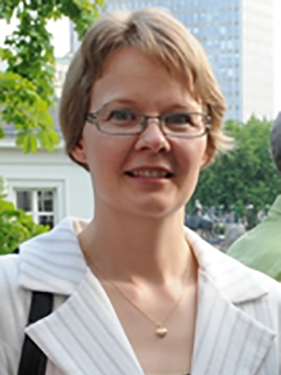 Taija Finni is a professor of kinesiology at the Faculty of Sport and Health Sciences, University of Jyväskylä, Finland. Her research ranges from basic neuromuscular function to translational research related to physical activity and sedentary behavior. By measuring EMG from adults and children her group has gained accurate individual-level knowledge of the sedentary behaviour that is needed for designing effective physical activity interventions. Another research line focusing on muscle-tendon neuromechanics has provided fundamental information on tendon properties and muscle-tendon function for exercise training, rehabilitation and insight into age-related changes in mobility and neuromuscular performance. She serves as a senior section editor in Scandinavian Journal of Medicine and Science in Sports and is a member of editorial board in Clinical Biomechanics. She is an elected council member of the International Society of Biomechanics and a member of scientific committee of the European College of Sport Sciences. 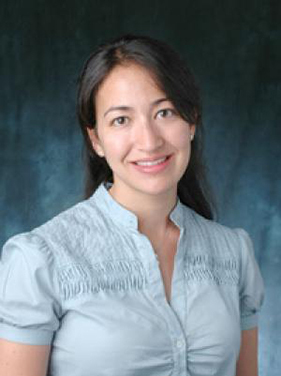 Dr. Samantha Harris is an Associate Professor of Cellular and Molecular Medicine at the University of Arizona. She is a researcher in the Molecular Cardiovascular Research Program. Dr. Harris' long-term goal of research is to understand the molecular mechanisms of muscle contraction. She is especially interested in how contractile proteins of muscle sarcomeres regulate the force and speed of contraction in the heart. 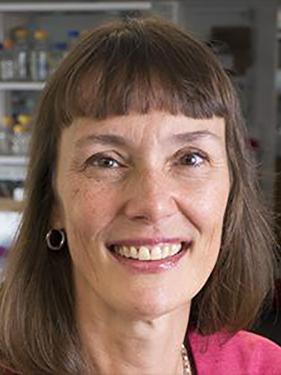 Currently, the major research focus in her lab is understanding the mechanisms by which cMyBP-C regulates contractile speed and mechanisms by which mutations in cMyBP-C cause disease. Dr. Cheryl Hubley- Kozey is a full professor in the Schools of Physiotherapy, Biomedical Engineering and Health and Human Performance at Dalhousie University, as well as an Affiliate Scientist at the Nova Scotia Health Authority. She co-leads the Innovation in Musculoskeletal Health and Physical Activity collaborative multidisciplinary team and is the co-Director of the Dynamics of Human Motion laboratory. Dr. Kozey's work in clinical biomechanics and neuromuscular control aims to keep people who have bone and joint conditions mobile and physically active so they can maintain health throughout their lifespan. Her primary focus has been on knee and lower back conditions, both of which result in a significant burden on the individual, the healthcare system and the economy given that both conditions are prevalent in those of working age. Her research on biomechanics and neuromuscular patterns associated with knee joint osteoarthritis (OA) processes has led to a new understanding of the role of the musculature on mechanical loading patterns with OA severity and progression. Her research has been mainly supported through the Canadian Institutes for Health Research, the Natural Science and Engineering Research Council and the Nova Scotia Health Research Foundation. 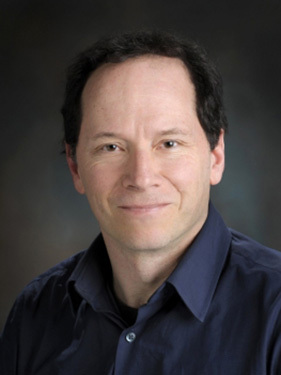 Dr. Robinovitch is a professor at Simon Fraser University in the Department of Biomedical Physiology and Kinesiology, and the School of Engineering Science. 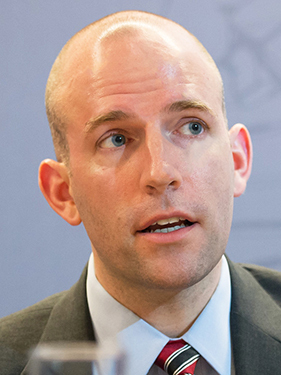 He is also the Principal Investigator at the Injury Prevention and Mobility Laboratory. Dr. Robinovitch's research group uses the tools of biomechanics to develop and evaluate novel techniques for preventing disability and injury, seeking to generate new understanding of the risk factors for injury and mobility impairment, and to develop and test novel interventions. A particular focus of the laboratory is the prevention of injuries in the event of fall (especially hip fractures, wrist fractures, and brain injuries). Here, they are designing and testing the ability of energy-absorbing floors and protective clothing (e.g., hip padding devices) to reduce impact forces and injury risk during falls. An increasing focus is monitoring movement patterns in the real-life environment, through miniature wearable sensors and video technology. The lab has also developed several novel experimental techniques that are now being duplicated by former trainees and other research groups internationally. Andy Ruina has a robotics and biomechanics lab, and teaches mechanics and basic math classes at Cornell University. Andy's main study areas are coordination, classical rigid-object dynamics, and friction and sliding instability.Andy's degrees are all in Engineering from Brown University. 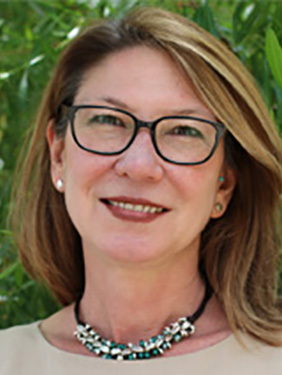 Karen L. Troy directs the Musculoskeletal Biomechanics Laboratory, where she investigates questions related to musculoskeletal health and structure, physical activity, and biomechanics, in healthy and clinical populations. She has expertise in computational biomechanics and finite element modeling, aging and fall avoidance, and medical imaging. She has worked on clinical trials targeting bone health in both healthy women and people with spinal cord injury. She collaborates with physicians in the areas of orthopaedic trauma, radiology, rheumatology, and physical medicine and rehabilitation. Her broad research focus is on understanding how humans can use physical activity in a targeted and mechanistic manner to promote healthy aging. She specifically takes a biomechanics perspective on how physical forces applied to the musculoskeletal system generated through exercise or other physical activity can be used to improve bone and joint health. Her experimental approach utilizes medical image analysis and patient-specific computational models, combined with human subjects in a clinical setting. Marjolein van der Meulen is the James M. and Marsha McCormick Director of Biomedical Engineering and Swanson Professor of Biomedical Engineering in the Meinig School of Biomedical Engineering and Sibley School of Mechanical & Aerospace Engineering at Cornell University and a Senior Scientist in the Research Division of the Hospital for Special Surgery. 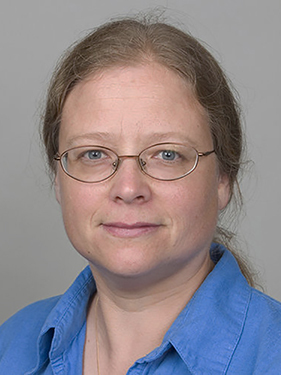 Before joining the faculty at Cornell Marjolein worked for three years as a biomedical engineer at the Rehabilitation R&D Center of the Department of Veterans Affairs in Palo Alto, California. In 1995 she received an NIH FIRST Award and in 1999 an NSF Faculty Early Career Development Award. Marjolein is a member of the American Society of Bone and Mineral Research (ASBMR), the American and European Societies of Biomechanics, and the Orthopaedic Research Society. She is a fellow of AAAS, AIMBE, and ASME. 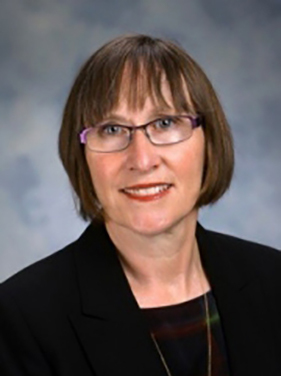 In the past, she was a Deputy Editor for the Journal of Orthopaedic Research, member of the ASBMR Task Force on Atypical Femur Fractures, and member for the Skeletal Biology Structure and Regeneration (SBSR) Study Section at NIH. Alan graduated from Glasgow University in 1987 having studied Veterinary Medicine and an intercalated BSc in Physiology. He subsequently undertook a PhD in the Anatomy Department at Bristol University where he studied the mechanical basis of tendon injury. He went on to work as a Post-Doctoral Research Associate and then as a lecturer. Alan moved to the Royal Veterinary College in 1996 where he now holds the post of Professor of Locomotor Biomechanics and leader of the Locomotion (Muscle, Tendon and Biomechanics) Research Group. Dr. Zelik co¬directs the Center for Rehabilitation Engineering & Assistive Technology (CREATE) at Vanderbilt University. CREATE aims to improve health, mobility and independence for individuals with disabilities, and to enhance human capabilities beyond biological limits, by engineering, measuring, optimizing and understanding technologies that physically augment human performance. Dr. Zelik’s research team employs experimental and computational methods to study human biomechanics and aims to translate biomechanical principles into improvements in assistive devices such as prostheses, exoskeletons and smart clothing. Dr. Zelik received his B.S. and M.S. in Biomedical Engineering from Washington University in St. Louis, then his Ph.D. in Mechanical Engineering from the University of Michigan. Following this, Dr. Zelik was a post¬doctoral researcher and Whitaker International Scholar at the Santa Lucia Foundation Rehabilitation Hospital in Rome, Italy. 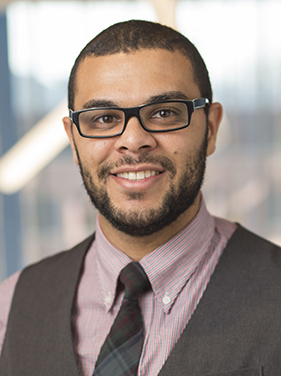 He joined the Mechanical Engineering faculty at Vanderbilt University in 2014, and holds secondary appointments in the departments of Biomedical Engineering and Physical Medicine & Rehabilitation.